Bata Shoe Museum - Bow Bridge Communications, LLC. 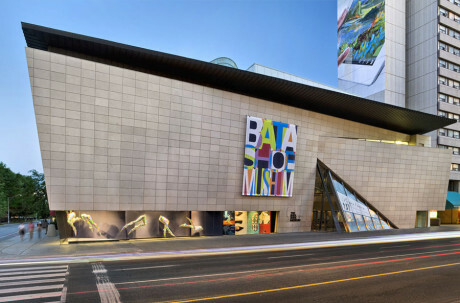 The Bata Shoe Museum, the world’s largest and most comprehensive collection of its kind, features a collection of over 13,000 examples of shoes, footwear, and related material and artifacts from around the globe spanning 4,500 years. Established in 1995, the Raymond Moriyama-designed Museum features a popular semi‐permanent exhibition, All About Shoes, and three galleries devoted to changing exhibitions. Drawn from the earliest civilizations to today’s leading designers, the displays and public programs provide a unique window onto society and the history of humankind. Highlights include an assortment of celebrity footwear from a set of Queen Victoria’s ballroom slippers to Elvis Presley’s blue loafers to John Lennon’s Beatle boots. The Museum is also a center for field research and education. On the occasion of its 20th anniversary, Bow Bridge was engaged to promote Standing Tall: The Curious History of Men in High Heels to raise awareness of the Museum outside Canada and advise as communications counsel.